When dual SIM smartphones first hit the market some years ago, they came as a huge relief to users who had been struggling to cope with the logistics of having more than one mobile phone account. In parts of the globe where network coverage is patchy at best, having two or more subscriptions with different networks is a way of ensuring that some form of mobile telecommunication is available at a given time. But this required users to buy separate handsets for each account (expensive), or use a single phone, and keep swapping out the Subscriber Identity Module or SIM cards (very inconvenient). And for consumers simply wishing to enjoy the benefits of a free choice of networks, dual SIM phones were a cost-effective and logical solution. But time and technology keep marching on – and the rise of Voice over Internet Protocol (VoIP) as a vehicle for telecoms delivery has brought a wealth of innovations in its wake. Among these developments is virtualisation, or the creation and hosting of telecoms user profiles via software and cloud-based computing resources. And it’s one of the reasons why you no longer need to buy a dual SIM phone to expand your presence into different networks – and even into different geographical regions. Intelligence agents in popular TV shows and films are often seen buying (and soon afterwards, trashing) disposable cell phones so their calls and locations can’t be traced by whoever’s chasing them. These so-called “burner” phones have become a staple of this kind of fiction, and naturally they’re available on the street in real life, as well. But burners also exist virtually. Web applications like Jangl and Jaxtr appeared in 2005, allowing subscribers to exchange phone calls and text messages without having to divulge their personal or business phone numbers. Grand Central (which was acquired by Google and eventually became Google Voice) allowed users to create a single number that could route calls to multiple phones. And in 2012, entrepreneurs Greg Cohn and Will Carter laid the foundations for what would eventually become Burner, an app which allows users to create temporary phone numbers that they can post on social media as their contact information, and use to receive and make text messages and calls. A natural progression of this technology has led to the development of virtual phone number providers who spotted the opportunity to provide an invaluable service to legitimate businesses in the UK and beyond. These services are able to allocate business phone numbers registered in the UK to mobile subscribers across the globe, creating an international presence. A few years ago, a London-based company named Movirtu developed a system for generating virtual SIM cards, which may be used on shared or borrowed phones. Dialling a short USSD code is all it takes to contact a mobile network’s visitor location register (its subscriber database), informing the mobile network that a new number is now being used on the phone. Internet access isn’t required – just a connection to the mobile network carrier. A couple of years ago, Movirtu was acquired by BlackBerry, which has packaged the technology into a solution that allows nine distinct phone numbers to be assigned to a single SIM card. The interface for this service is available as mobile apps for BlackBerry, Android and iOS, and is targeted at enterprise users looking to better manage their Bring Your Own Device (BYOD) or Corporate-Owned, Personally Enabled (COPE) working practices. 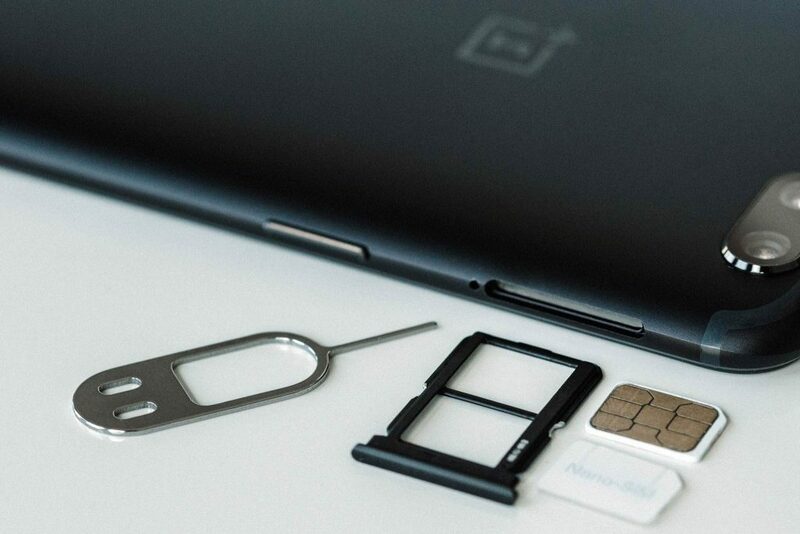 The technology in principle has also been adopted by several virtual SIM providers, who use GSM connectivity and dedicated mobile apps to essentially “trick” a mobile phone into thinking there are one or more SIM cards installed – even if there’s no actual physical card in the device. These may then be provisioned virtually with numbers and services associated with any of the provider’s participating mobile carriers. Though the current state of technology hasn’t yet come up with a way of dispensing with single or dual SIM card slots entirely, there’s much to indicate that the future of telecommunications, like so many other aspects of modern life, is destined to be virtual. If you’d like to stay ahead of the curve, and leave your dual SIM phone behind, get in touch with the telecoms experts at Swytch who will be happy to answer any questions and get you and your team set up with your new virtual numbers.